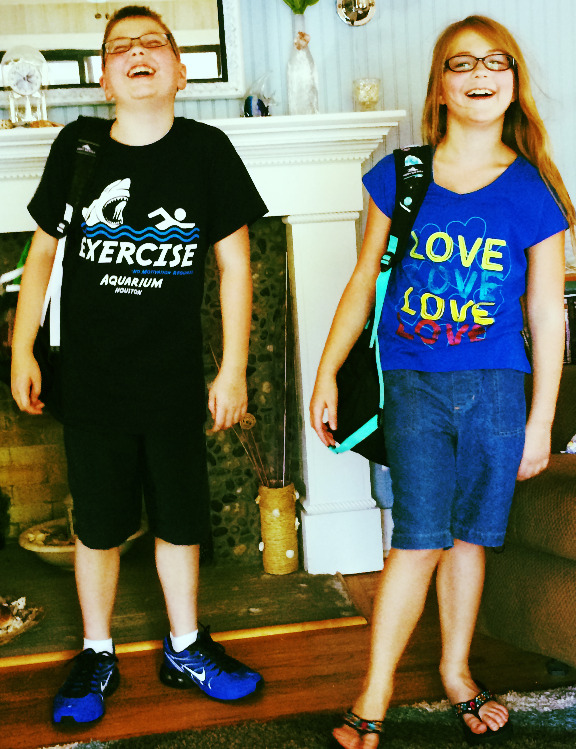 At the beginning of the summer, my 12-year old nephew and 9-year old niece decided that during their summer break, they wanted to try and eat better and exercise. They wanted to be a little smaller and a lot stronger when they went back to school. I can tell you this was music to their fitness crazed Aunnie’s ears! Over the course of the next several months, they were subjected to quite a bit of running, more burpees than they probably ever want to do again, and a countless number of hop hop squats. We ran relay races, played hot potato with a 15lb medicine ball, and lifted weights. We played kickball, rode bikes and worked on climbing the pole. They also swam with their Hemi (grandmother) every afternoon. We sat down and figured out some nutritious things they would like to eat, and Hemi made sure they got it. They were really determined to make better choices and learn more about what to eat, and what not to eat. When we started, I took measurements with Body Fat Calipers and a measuring tape. They wanted to be able to see their progress and know that all of their hard work was actually doing something. Initially, according to their Body Fat Percentage, they were both teetering on being considered “Obese”. I don’t like that word, and I don’t like using charts, but it was in black and white, right there in front of me. You can’t imagine my pure joy and admiration for those two when we re-measured a few days before school started. Not only did they pull away from that nearly “obese” category, but they both have moved into the HEALTHY category for their ages! I am so happy and so proud of them! Not only did they lose body fat, but they also gained some nice muscles along the way too! I know sometimes the thought of trying to “get healthy” or becoming more active seems daunting, but, take a lesson from these two kiddos. They made a decision and spent their entire summer vacation working towards their goals, and THEY DID IT! Not only am I proud of them…they are proud of themselves which is awesome in itself. When you think you can’t do something, know that you CAN, IF you are willing & determined to put in the hard work to achieve it. Great job Zach and Cat! We are all so proud of you! Type 2 diabetes. Type 2 diabetes in children is a chronic condition that affects the way your child’s body metabolizes sugar (glucose). Obesity and a sedentary lifestyle increase the risk of type 2 diabetes. Metabolic syndrome. Metabolic syndrome isn’t a disease itself, but a cluster of conditions that can put your child at risk of developing heart disease, diabetes or other health problems. This cluster of conditions includes high blood pressure, high blood sugar, high cholesterol and excess abdominal fat. High cholesterol and high blood pressure. Your child can develop high blood pressure or high cholesterol if he or she eats a poor diet. These factors can contribute to the buildup of plaques in the arteries. These plaques can cause arteries to narrow and harden, which can lead to a heart attack or stroke later in life. Asthma and other breathing problems. The extra weight on your child’s body can cause problems with the development and health of your child’s lungs, leading to asthma or other breathing problems. Sleep disorders. Obstructive sleep apnea, a condition in which your child may snore or have abnormal breathing when he or she sleeps, can be a complication of childhood obesity. Pay attention to breathing problems your child may have while sleeping. Nonalcoholic fatty liver disease (NAFLD). This disorder, which usually causes no symptoms, causes fatty deposits to build up in the liver. NAFLD can lead to scarring and liver damage. Early puberty or menstruation. Being obese can create hormone imbalances for your child. These imbalances can cause puberty to start earlier than expected. Behavior and learning problems. 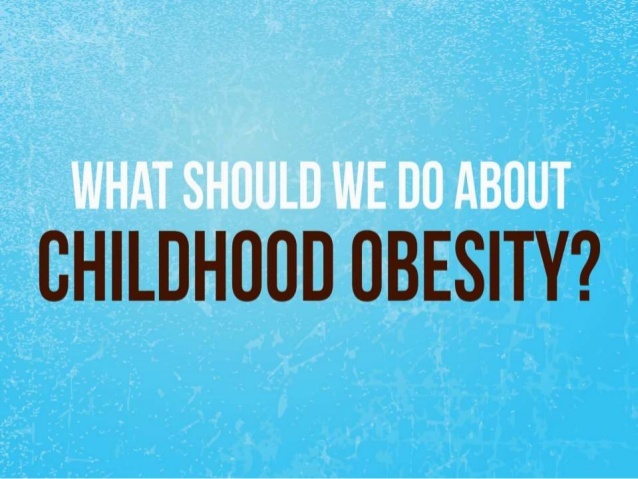 Overweight children tend to have more anxiety and poorer social skills than normal-weight children have. At one extreme, these problems may lead overweight children to act out and disrupt their classrooms. At the other, they may cause overweight children to socially withdraw. Depression. Low self-esteem can create overwhelming feelings of hopelessness in some overweight children. When children lose hope that their lives will improve, they may become depressed. A depressed child may lose interest in normal activities, sleep more than usual or cry a lot. Some depressed children hide their sadness and appear emotionally flat instead. Either way, depression is as serious in children as in adults. If you think your child is depressed, talk with him or her and share your concerns with his or her doctor.